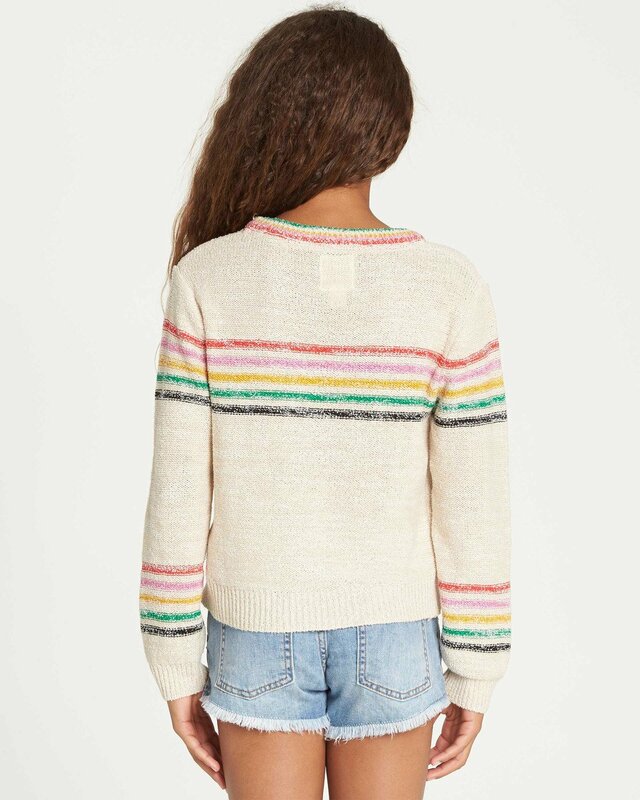 Bring sunshine to cloudy days with this rainbow striped sweater. 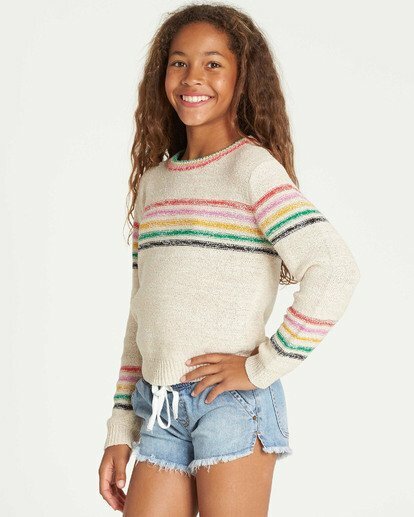 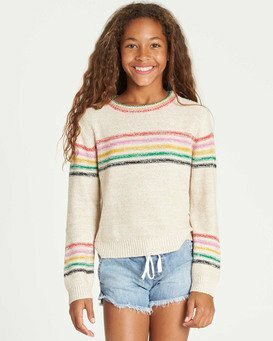 Made form a soft knit blend, the girls striped sweater features a classic pullover silhouette, accented with rainbow tones at the chest, sleeves and neckline. Rainbow stripes at chest, sleeves and neckline.